They say keeping records is essential for progress. Does it hold true for keeping track of what happened on hoof trimming day? I say, it sure does! Let me explain. As a hoof trimmer, I used paper copies to share the results of my hoof trimming visit with the farmer. I kept records of the number of ulcers, double soles, digital dermatitis plus the associated wraps, and similar items on a per-cow basis. In this way, the farmer knew what kind of problems (if any) existed. 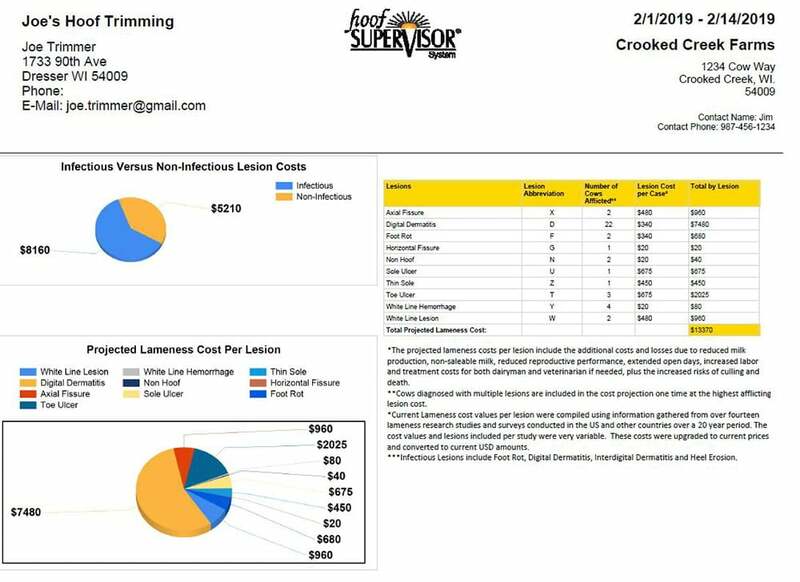 Besides, I used the trimming records as a tool to suggest possible management adjustments that could improve hoof health in the herd. Paper copies were all we had in 1994; the technology we have at our disposal today was not around. Nowadays, searching for a cow number and her history on paper will take too much time and could prove to be an impossible task with large herds. Why should a dairy farmer use trimming records? The answer to this question seems straightforward: records can help set a benchmark and introduce changes to optimize hoof health. This benchmark “snapshot” gives an overview of what is going on, either regarding the whole herd or individual cows. Farmers can discuss and share the records with other professionals that service a dairy herd, such as nutritionists and veterinarians. These professionals can assist in areas that need improvement and focus on goals related to keeping lameness under control. What KPI numbers are important to track? 1. It is of utmost importance to know how many trimmed cows did not have a hoof problem. These cows are the drivers of your success and increasing their number should be your goal! 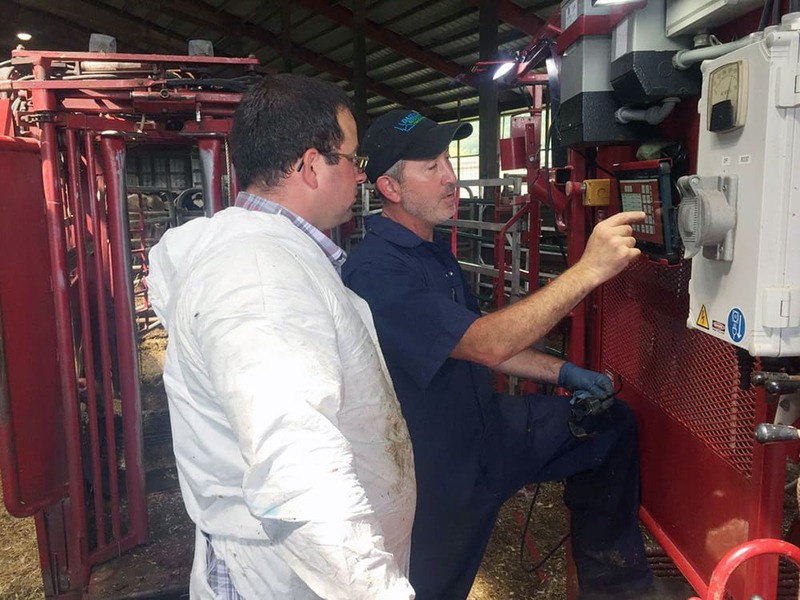 To improve this master KPI, schedule the hooves of every cow in the herd for a maintenance checkup twice a year to make sure no problems are looming. Our blog post on how often to trim your cows explains why this is the best frequency. 2. What hoof problems does your herd have and what is their prevalence? Making improvements to something unmeasured is like shooting in the dark and hoping to hit the target. Ask questions such as, how many cows have sole ulcers? How many suffer from digital dermatitis, and how severe is the condition? You need to discuss this KPI with the relevant professionals, who will assist you in drafting a plan of action. For example, if digital dermatitis prevalence is increasing, you should revisit your foot bath strategy and treatment protocols. 3. Are some cows always on your trimming list? Some cows are persistently problematic, taking up a lot of resources in terms of trimming time and treatment dollars. Would it not be best to cull them? However, try to find out at what stage in their life or lactation they went chronically lame and consider improving that weak link in the chain. Hoof Supervisor Report. Image obtained from Supervisor Systems. 5. To keep this list of KPIs as short as possible but still valuable, I would like to add one more KPI for you to track in your hoof health protocol: the number of young stock and dry cows showing lameness. We often forget to take care of these animals, which are our future milk cows. You should address any hoof problems, whether infectious or non-infectious, in these groups. Trimming (or checking) pre-calving heifers to ensure top performance once they join the milking herd is money well spent! Hoof Supervisor. Image obtained from Supervisor Systems. All 4 Feet. Image obtained from All4Feet. What options are available for record keeping? Computerized systems make it easier to share information with team members and professionals. Some larger farms have made the switch and integrated their in-house computer with their hoof trimmer’s system. They have readily available reports at the end of the trimming day and can email the documents to any service provider. A paper version can still do the job, especially if you have a smaller herd. I would like to share some links to computer systems popular in the dairy industry. 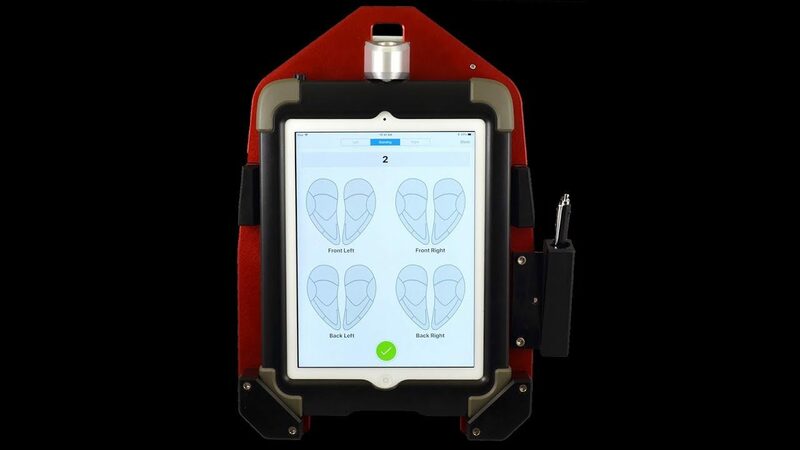 Many Canadian hoof trimmers are using Hoof Supervisor, with All4Feet and Hoof Tracker also gaining traction. 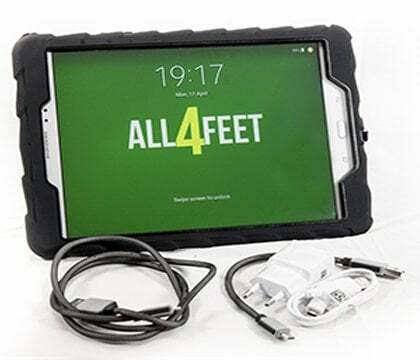 “Discover the features that make All4feet a convenient and cost-effective solution for hoof trimming companies, and find out how All4feet can bring your hoof trimming process into the digital age”. “Hoof Tracker doesn’t just help to get the job done. It also provides a deep level of insight into the work you do, allowing you to spot trends and manage animals you work with regularly. All cattle retain a history of the work you’ve done on them, allowing you to view it at a glance”. 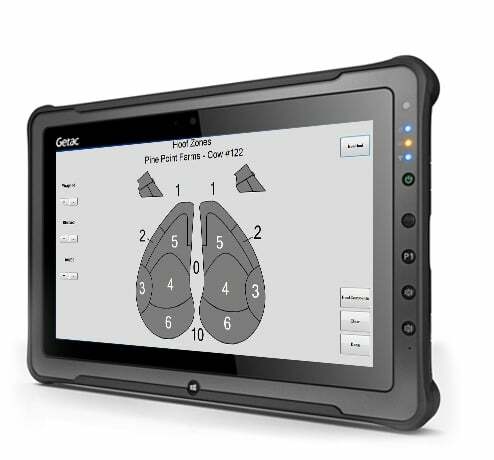 Accu-Trim Hoof Analyzer. Image obtained from Comfort Hoof Care. Hoof Tracker. Image obtained from TrimTec. 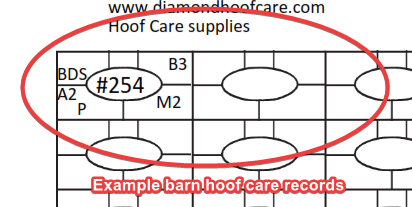 It is totally fine for hoof trimmers to keep using a paper copy if they are not familiar with technology and computerized systems. However, they should consider the options available to even better serve the herds of their clients. Record-keeping is a value-added necessity for any dairy farm, enabling it to focus on action items. Also, make sure your team is completely knowledgeable about hoof problems and the care protocols for lame cows. Remember: it pays to trim AND keep records!